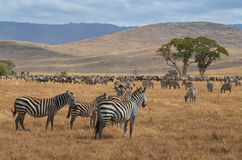 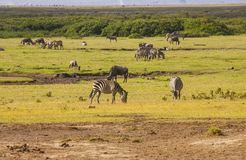 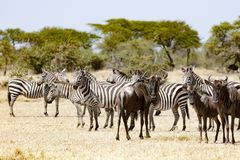 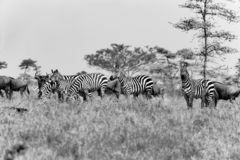 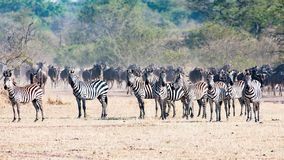 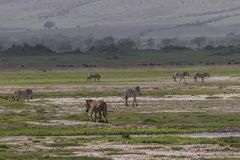 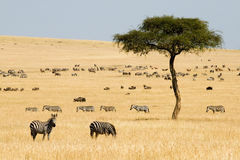 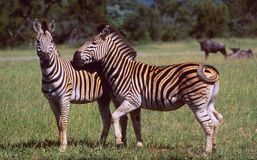 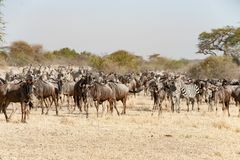 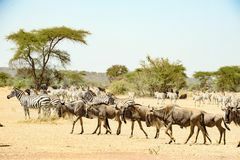 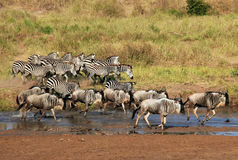 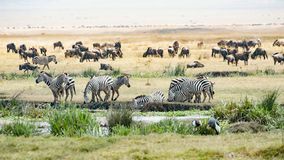 Zebras, Gnus, Hippos, Birds in Ngorongoro Crater. 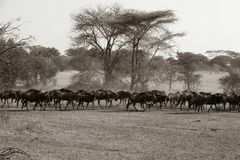 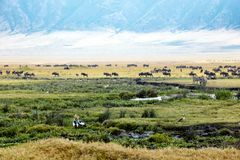 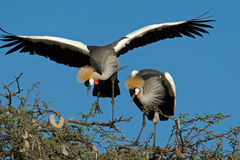 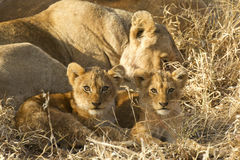 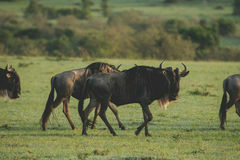 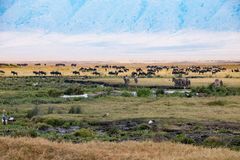 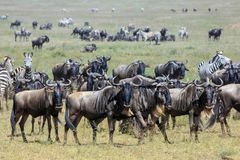 Ngorongoro Crater in Tanzania is huge conservation aeria for many animals. 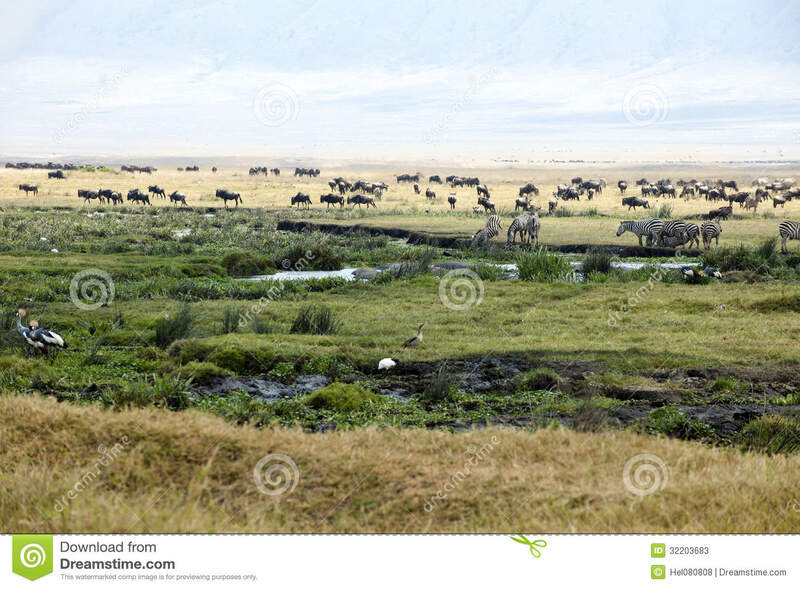 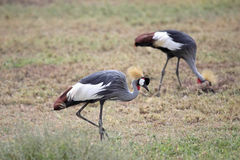 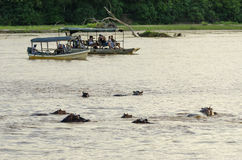 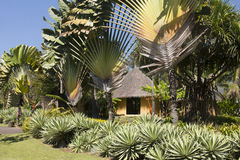 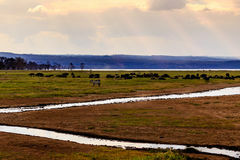 Hippos in the pond, Zebras, wildebeests and birds on the savanna.